Local artists creating art from waste join the citywide celebrations of Laoag’s Golden Year of Cityhood through an eco-themed art exhibit entitled “naglabas, agdama, masakbayan [past, present, future]” slated to run on June 18-20 at the Laoag City Hall Auditorium. 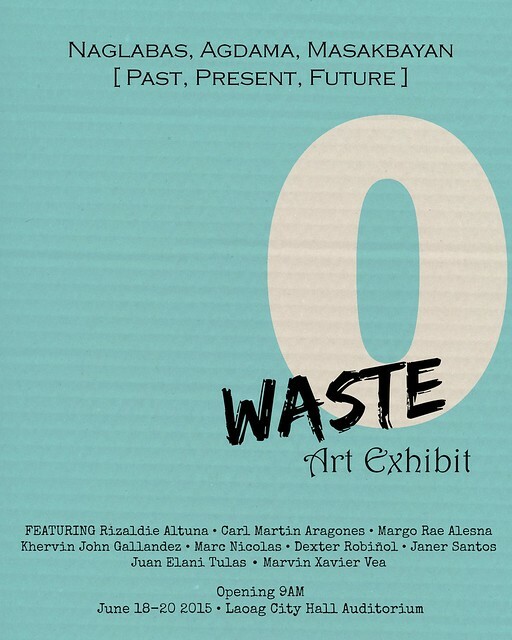 Organized by the LEAD Movement in collaboration with the City Government of Laoag, the art show hopes to inspire sustainability and making a difference in the present and future. Laoag through the years has garnered numerous accolades, among them Clean and Green City. Up for viewing are the works of Margo Rae Alesna, Rizaldie Altuna, Carl Martin Aragones, Khervin John Gallandez, Gerome Malbas, Marc Nicolas, Dexter Robiñol, Janer Santos, Juan Elani Tulas and Marvin Xavier Vea. The event is free and open to the public. Hoping you could drop by.